With numerous high street stores recently announcing the launch of their very own make up lines - you know the beauty addict in me was itching to try out some of the best products each brand has to offer. So this week I will be breaking down some of my favourite products from the high street and letting you know why else may become the new "drugstores" and the place to satisfy your Make Up needs. 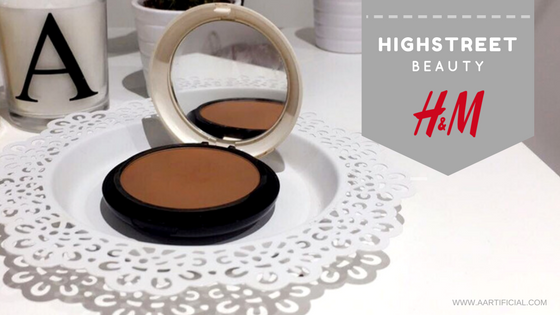 So kick starting this week - Let's jump straight into the H&M Beauty range. "Whatever your beauty regimen and style, we’ve got what you need. From make-up, hair and nails to skin, fragrance and accessories – we’ll help you look and feel your best." The first and only product I've tried from H&M's beauty range is the compact foundation that retails for £7.99. This cream to powder foundation claims to even out skin tone, cover imperfections and makes a great foundation topper and I have to say this has definitely come through. I initially was not blown away by the colour range that this product comes in, with only 4 shades picking the colour that was the perfect match wasn't the easiest thing to do but impressively they do have a shade range that caters to a variety of different skin tones. I picked up the shade chestnut which works perfectly if dusted lightly over my foundation to add some warmth however I found the perfect application for this product was as a contour shades. 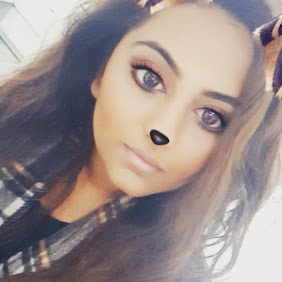 The cool undertones and buildable cover has made it my go-to contouring product over recent weeks as I can easily work it into the hollows of my cheeks without too much of a fuss. I love the fact that I can range from a light subtle contour to a full on Kim K chizled look. All in all considering the accessibility, price and quality of this product it is pretty much a non brainer and can imagine it will be restocked in my make up bag for years to come (if they don't discontinue it like most brands do with my favourite product). I've been itching to try out some of H&M's blushers so during my next trip to H&M Westfield, you know it's going to be swatch central. Have you tried any high street make up brands? If so, what would you recommend? Let me know.